Scent: Floral, citrusy, sweet, exotic. Action: Antiseptic, antiparasitic, analgesic, emmenagogue, improves circulation, analgesic, antirheumatic, antispasmodic, carminative, digestive, emmenagogue, laxative, parturient, stimulant, tonic. Benefits, Indications: Loss of appetite, chronic debility, digestion (helps with starchy foods and fats), gallstones, halitosis, rheumatism. This oil has adrenal cortex-like activity which helps support the adrenal glands for increased energy. It may also help treat arthritis, bacterial infection, frigidity, gout, impotence, menstrual problems, nausea, severe nerve pain. Nutmeg oil stimulates the heart and circulation, activates the mind and revives people from fainting spells, while stimulating the digestive system and fighting flatulence, nausea, chronic vomiting and diarrhea. It encourages appetite and averts constipation, fights gallstones and is a tonic for the reproductive system, while regulating scanty periods, and relieving frigidity and impotence. It can aid births by strengthening contractions. The oil has shown good anti-inflammatory action, and is also successful in relieving pain, especially muscular aches and pain. Precautions: Nutmeg oil is considered nontoxic, non-irritant and non-sensitizing, yet in very large dosage may become toxic with symptoms such as nausea and stupor, which is most likely due to the myristicin contained in the oil (mace oil has a higher concentration of myristicin than normal nutmeg oil). This oil should not be used during pregnancy or if epileptic. 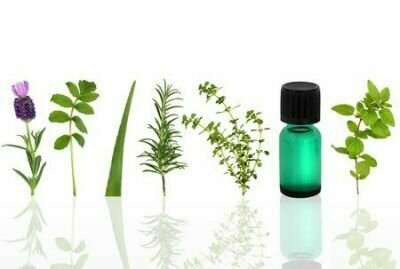 GC-MS Analysis of the Composition of the Extracts and Essential Oil from Myristica fragrans Seeds Using Magnesium Aluminometasilicate as Excipient.